We know they can do that extremely well. They’ve proven that time and time again. That’s why we know we can trust them with arguably more critical responsibilities… like kitchen electricals. Yes, that’s right. The brand we all know and love have decided to spread their wings to create the Bistro Electric range and they’ve applied exactly the same level of innovation and creativity we’ve come to expect. To blend is the epitome of creation. Taking separate properties and watching as they collaborate in a whirlwind of perfection before your very eyes. Don’t relate? 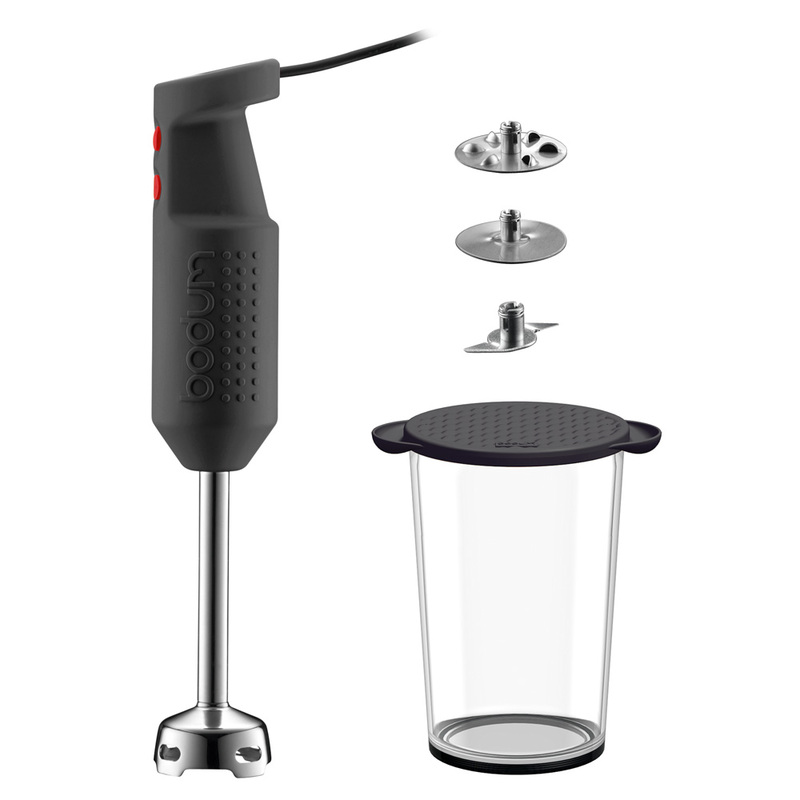 Haven’t you heard of Bodum’s Bistro Electric Blender Stick Set? Like a magic wand, it works at a simple push of a button and with the use of only one hand. With three blending attachments, you’ll switch from a multiblade to puree fruit and vegetables, a whisk to create things like mayonnaise, sauces and mashed potatoes and a beater for whipping up cream or eggwhites... You shape-shifter, you! For the perfect blend of magic and practicality, create with Bodum’s Bistro Electric Blender Stick Set. Powerful motor with comfortable handle for optimal control. Two-speed push button control for easy, one-handed blending. Includes three stainless steel attachments with a tool for attachment removal. Includes mixing beaker with a silicone lid - ideal for storing in the fridge. Dimensions: 6.7 x 6.7 x 35.8cm.